Used GMCs in Stock | Southfield Chrysler Dodge Jeep Ram " "
Recent Arrival! 20'' ALUMINUM WHEELS, LEATHER HEATED SEATS, REMOTE START, TRAILER PACKAGE, CHROME ASSIST STEPS, HEATED STEERING WHEEL, REAR VISION CAMERA, FRONT AND REAR PARKING ASSIST, 20 x 9 Polished Aluminum Wheels, 6 Rectangular Chromed Tubular Assist Steps, ABS brakes, Bose Speaker System, Chrome Door Handles, Compass, Dual-Zone Automatic Climate Control, Electronic Stability Control, Exterior Parking Camera Rear, Front dual zone A/C, Front Frame-Mounted Black Recovery Hooks, Garage door transmitter, Heated door mirrors, Heated Driver & Front Passenger Seats, Heated front seats, Illuminated entry, Leather Appointed Seat Trim, Leather Wrapped Heated Steering Wheel, Low tire pressure warning, Memory seat, Power Adjustable Pedals, Power driver seat, Power Folding & Adjustable Heated Outside Mirrors, Power Sliding Rear Window w/Defogger, Remote Keyless Entry, Remote keyless entry, Remote Vehicle Starter System, Single Slot CD/MP3 Player, SLT Preferred Package, SLT Premium Package, Speed control, Traction control, Trailering Equipment, Universal Home Remote. CARFAX One-Owner. 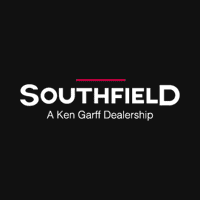 Clean CARFAX.Quicksilver Metallic 2018 GMC Sierra 1500 SLT 4D Crew Cab V8 6-Speed Automatic Electronic with Overdrive 4WDSouthfield Dodge Chrysler Jeep Ram is delighted to offer this terrific-looking 2018 GMC Sierra 1500.Southfield Chrysler Dodge Jeep Ram became part of the Ken Garff Family in 2014. Our dealership has many satisfied customers from Southfield, Detroit, Bloomfield Hills, Farmington Hills, and Troy, MI. Our commitment to our customers begins from the moment they step into our showroom and test drive one of our new Chrysler, Dodge, Jeep, or Ram models or one of our quality used vehicles.